Not every staffing company will offer to pay for forklift certifications, help a client get their GED, or lend a client gas money to get to work until that first paycheck kicks in, but for Romayne Johnson of the Drexel Group, it’s all part of doing what she loves—helping her clients succeed in finding the perfect job. Born in northern Illinois, Johnson moved to Pennsylvania as a teenager, surrounded by a very creative and successful family. She has a background in social work with an MSW from Temple University. While working for Head Start upon graduation, she was given the opportunity to go to UCLA for a Johnson and Johnson Business Fellowship with the Anderson School of Business. “The combination of social work and business education gave me an advantage in the business aspect and the people aspect—a perfect fit for running a staffing company,” she said. Johnson got her start with the Drexel Group, where she is now owner and president, when she married her husband Robert 12 years ago and began helping him in the business. One of her earlier projects with Drexel “was to start up a new hospitality division called Drexel Dining,” Johnson said. Helping people is one of the things Johnson particularly enjoys about her work with Drexel, and despite considering herself a bit of an introvert, she will gladly put herself out there for the benefit of her clients, both those seeking jobs and those looking for qualified employees. As the economy has begun picking up, so has the amount of clients Johnson finds herself working with, and although she enjoys being very hands-on and seeing how her clients are doing, it’s more difficult these days. But that’s a really a positive thing because it signals an increase in business and in successful job placements. Johnson has a long-term vision for her company, and thus, constantly takes necessary risks to keep Drexel relevant in what is currently a very competitive business environment. “I also remain financially prudent,” she said. 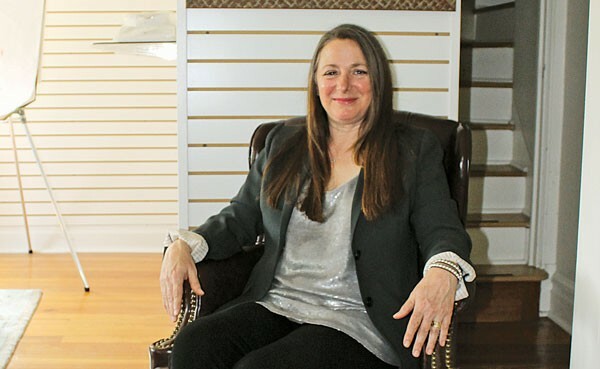 “I do take advantage of the programs within the commonwealth—we are a Nationally Certified Woman Owned Business and one of our top 10 clients uses Drexel for that reason. Going above and beyond what is expected to help a client be successful is common practice for Johnson, but she does so in a prudent manner. Through the years, Johnson has come to realize that what’s important is that she’s doing the very best job she can do in making her company successful.